What does Nafisa mean, details, origin, short & easy attributes? Nafisa pronunciation in 20 different native languages. 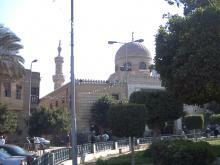 The name Nafisa is a Muslim baby name. In Muslim the meaning of the name Nafisa is: Precious. Delicate. Gem. Nafisa is baby girl name mainly popular in Muslim religion and its main origin is Arabic. Nafisa name meanings is Refined, pure, precious, delicate, choice, exquisite. People search this name as Nafisa, Nafisa firdous, Nafisah, Nafisa meaning in telugu, Laky number from nafisa in urdu, Nafisabatul. Nafisa is written in Urdu, Hindi, Arabic, Bangla as نفیسہ, नफीसा, نفیسه,نفيسة,نفیسہ, নাফিসা. Other similar sounding names can be Nafasat, Nafees, Nafi, Nafiis, Nafis, Nafasat, Nafay, Nafeesa, Nafeesah, Nafeeza, Nafesa, Nafia, Nafiah, Nafisah, Nafissa, Nafla, Naflah. Popular personalities with Nafisa Name. 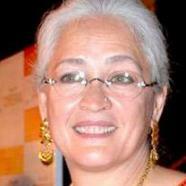 Nafisa Ali is an actor, model (people), politician, actress, and model. Her ongoing career started in 1979. Nafisa was born Nafisa Ali on January 18th, 1957 in Mumbai. Nafisa is also known as Nafisa Ali Sodhi. Nafisa Joseph was a model (people) and television presenter. She holds the title Femina Miss India Universe 1997 and Femina Miss India. Nafisa was born on March 28th, 1978 in Bangalore. She breathed her last breath on July 29th, 2004. Nafisa was born on January 20th, 1968 in Sukkur Sindh Pakistan. Nafisa was born in 762. She left this life in 824. Nafisa Abdullahi is an actress and actor. Her most notable accomplishments were from 2009 to present. Nafisa was born on January 23rd, 1991 in Jos, Plateau State. Nafisa Abdullaeva is a lawyer, business coach, writer, and poetess. Nafisa was born Nafisa Abdullaeva on August 13th, 1978 in Tashkent.